In Toon Boom Studio, you can capture from a device, such as a digital camera to create original stop-motion animation. Studio has an integrated image capture feature–an intuitive and easy-to-use image capture window, which allows you to set up and capture all your images. 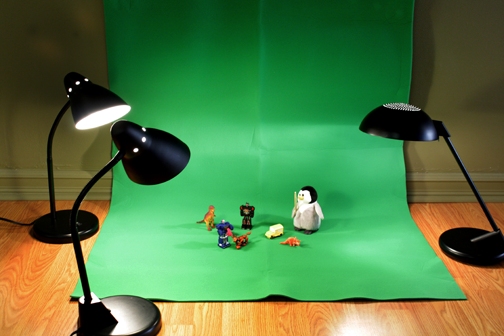 Refer to the Stop-motion Animation chapter to learn how to capture images and create your own stop-motion animation project.